Here are some of the top reasons that investing in precious timber can be a great choice for those looking to boost both their short-term and long-term income potential. For those who want to bring in a regular source of income while still holding on to the original equity, timber can be a logical choice. Typically, annual rates of inflation hover around three percent, although they can go up or down depending on the state of the economy. In order to beat inflation, therefore, and see your holdings increase in value throughout time, you need a minimum of a three percent return to see true profit. Fortunately, precious timber comes through in a major way. 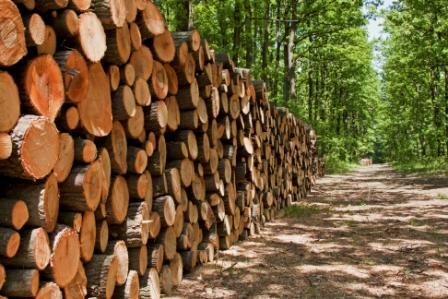 Since as far back as 1987, the average return on timber investments is an impressive 15 percent. This counteracts any annual inflation and generates a sizable amount of additional income that can be kept as profit or reinvested back into timber for more income in the future. One of the reasons timber is such a smart investment is because of the demand for wood across the globe. Rising populations and greater needs for infrastructure in developing nations mean more lumber is needed in the construction of everything from airports to roads to apartment buildings. While there are other materials that can be used in development, timber is one of the most efficient and affordable options, and the demand for wood is unlikely to go down as long as the population continues to rise in countries around the world. In conjunction with steady demand for precious timber is the fact that there is a limited supply. Taking down a tree and using the wood for construction means that there is one less tree available for future use. Generating more timber can be a long process that can't be sped up: you simply have to wait for trees to grow. This limited supply means that when demand rises, prices have to go up. This winning combination is great news for investors wanting to generate more income. While a priority for many investors is generating income, those with a long-term plan may also be interested in the history of a product's value. Timber, for example, has been valued for hundreds and even thousands of years. The efficiency of wood still beats most synthetic material, and most construction professionals would vouch for the irreplaceable nature of timber in the industry. Finally, investors are probably already well aware of the importance of diversification. A diverse portfolio means lower risks and less financial vulnerability, and timber can help. Timber isn't tied to any specific type of currency, nor it its use limited to one geographic region or to one industry. This diversity can mitigate risk and offer peace of mind to you as an investor. Investing in precious timber is a move that can help you generate income due to global demand, a limited supply, a history of value and high average annual returns.